Indian Air Force is an integral part of the Indian Defence Forces and has been serving the motherland since 1932. On the occasion of Indian Air Force Day, here we are offering you 35 Interesting facts about Indian Air Force that will make you feel proud. Indian Air Force was established on 8th October 1932. Hence, every year 8th October is celebrated as Indian Air Force Day. Indian Air Force is the 4th largest Air Force in the world. Currently, IAF has more than170000 Personnel along with more than 150 aircraft. The IAF is being operated from 224 Squadrons. It is the Seventh (7th) strongest Air Force in the world, defeating Germany and even Japan. The Flag of IAF (IAF Roundel) was adopted in 1951 that includes the roundel of the Tricolor. Since 1933, the logo of IAF has been changed four times. The motto of the Indian Air Force is “Nabha Sparsham Deeptam”. It has been derived from the 11th chapter of Bhagavad Gita. Air Marshal Padmavathy Bandopadhyay is the first Women Air Marshal of IAF. Air Marshal Padmavathy Bandopadhyay was also the first women Officer to become an Aviation medicine specialist. Indian Air Force has a Special Task Force known as Garud Commando Force. Garud Commando Force has the longest Training course among all Indian Special Forces. Marshal of Air Force Arjan Singh was the last Military officer with 5-star rank, who has died recently. IAF has involved in 4 wars with Pakistan and 1 war with China. Flying Officer Nirmal Jit Singh Sekhon is the only Officer of IAF who has been honored with Param Vir Chakra. He was awarded for his extreme sacrifice during the Indo-Pakistani War of 1971. During the 1947 War with Pakistan, IAF was not directly engaged with Pakistan. Instead, it was used as a support in the transportation of troops of Indian Army. During the 1965 war, Air Force of India was technologically weak than Pakistan Air Force. Even during 1971 war between Indian-Pakistan, Pakistan was having advance fighter jets than America. But still, India won the war. Air Marshal Sir Thomas Walker Elmhirst was the first Commander-in-Chief of Indian Air Force. He made IAF an independent Force with no control of the Indian Army. There are over 60 Air Base throughout the country. There is even one Air Force Base situated in the foreign country i.e. Tajikistan. It is known as “Farkhor Airbase”. The Western Air Command is the Largest Air Command with 16 Airbases. 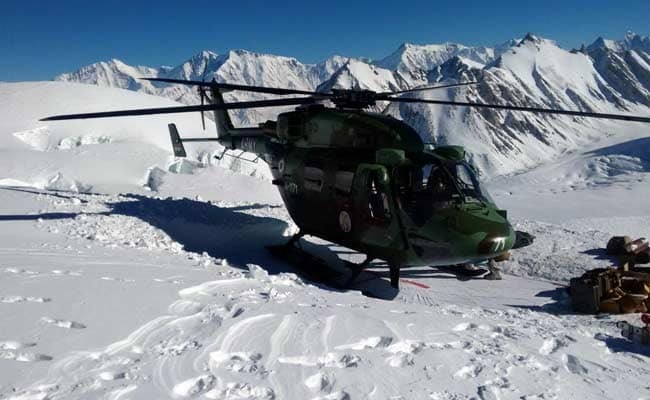 The Highest Air Force Station is situated on Siachen Glacier. The Siachen Glacier AFS is at a height of 6702 meters. Prior Independence, Indian Air Force was known as Royal Indian Air Force. But in 1950, the “ROYAL” word was removed. In the war of 1971, Indian Air Force destroyed 29 Pakistani tanks, 40 APCs and a railway train with numerous causalities of Pakistani Soldiers. IAF has registered a World Record with his Highest Landing of C-130J at Daulat Beg Oldi Airstrip, situated in Ladakh. The airstrip is situated at a height of 16614 feet. It has registered another World Record by airlifting maximum number of People. On this theme, “AIRLIFT” movie has also been made starring Akshay Kumar. HF-24 Marut was the first Fighter jet manufactured by HAL (Hindustan Aeronautics Limited). HAL has even developed the second Light Combat Aircraft, known as TEJAS. Operation Rahat was the biggest Civilian Rescue Operation which was carried out by the Indian Air Force. Indian Air Force is the only air force that operates C-17 Globemaster III, C-130J Super Hercules, and Il-76. These are the three largest transport aircrafts over the globe. IAF even manages AFNet. The AFNet is fully secure, reliable Intranet supported with gigabyte digital information grid. IAF has a museum in Palam, Delhi that encompasses a wide collection related to the history of Indian Air Force. Avani Chaturvedi, Mohana Singh, and Bhawana Kanth are the first three Women Fighter Pilots, inducted in the Air Force. So, on the occasion of Indian Air Force Day, you must definitely read the Indian Air Force facts that will not only make you feel proud but will even encourage you to join the Indian Air Force. For more interesting and motivational information, stay connected with SSBToSuccess.